Some ingredients can't be tainted for me no matter how hyped they are each season. Rhubarb is one of them. It transcends the idea of a seasonal food trend and just becomes something we all go buy as soon as it's readily available. Rhubarb speaks for itself, doesn't it? It's tart and beautiful and goes so well with any red fruit. I wanted to bake with it as much as I wanted a rhubarb party favor -- if you will--so, I made these brown butter oatmeal bars. The rhubarb compote goes in place of preserves which will leave you with plenty of leftovers to enjoy when the oat bars quickly dissapear (which they will). 1. Preheat oven to 375 degrees. In a large mixing bowl, whisk together oat flour, oats, xanthum gum, brown sugar, baking powder and sea salt. Set aside. 2. In a small saucepan, combine butter and vanilla over low to medium heat. Cook for 5-7 minutes or until butter smells nutty with tiny brown bits. Let cool for 5 minutes before carefully adding to oat mixture. Add in the juice and zest of one meyer lemon. Use your hands to mix the dough and encorporate butter thoroughly. 3. 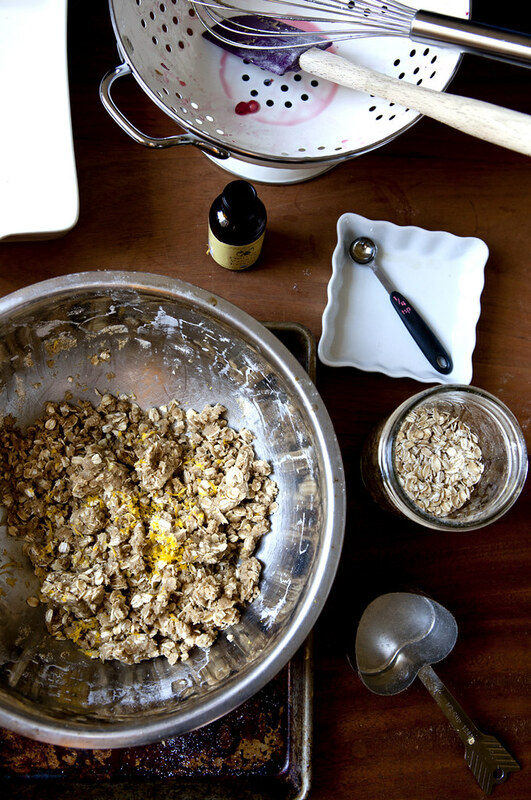 Pack one cup of oat mixture into a greased 8x8 baking pan. 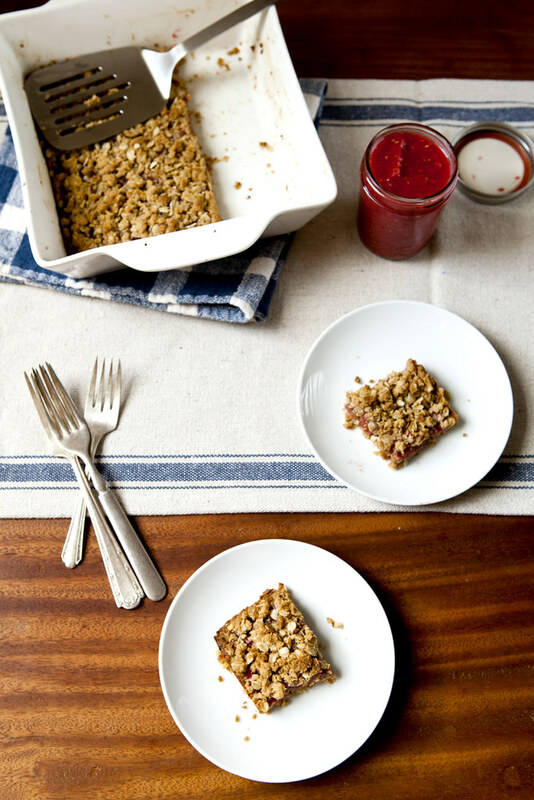 Top with rhubarb + red fruit compote with a silicon spatula covering the oat mixture evenly. Sprinkle the top with the rest of the oat mixture. Top with more lemon zest and a sprinkle of brown sugar. Bake for 25-35 minutes or until topping is browned. Set aside to cool and chill before serving. Makes approximately 10-12 bars. 1. 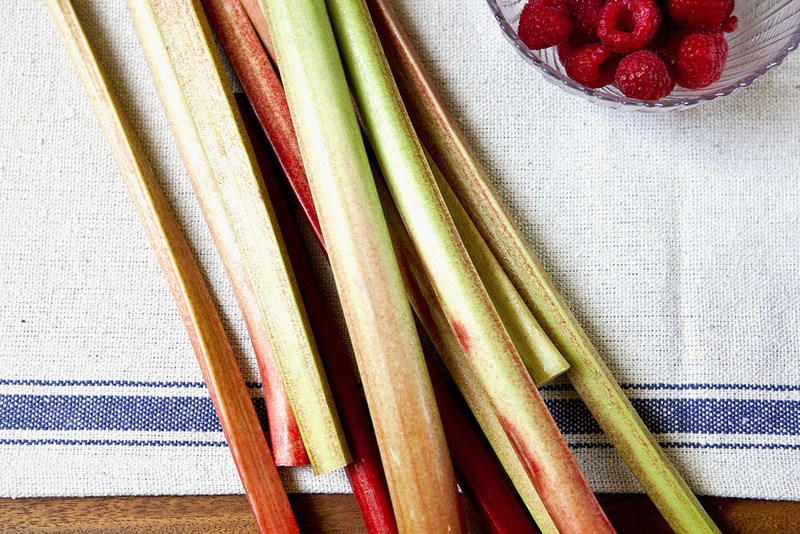 In a large saucepan, combine rhubarb, raspberry and pomegranate with sugar. Stir well and let stand for 10 minutes until liquids are released. Add meyer lemon juice and zest. 2. Bring fruit mixture to a boil over medium-high heat. Stir regularly. 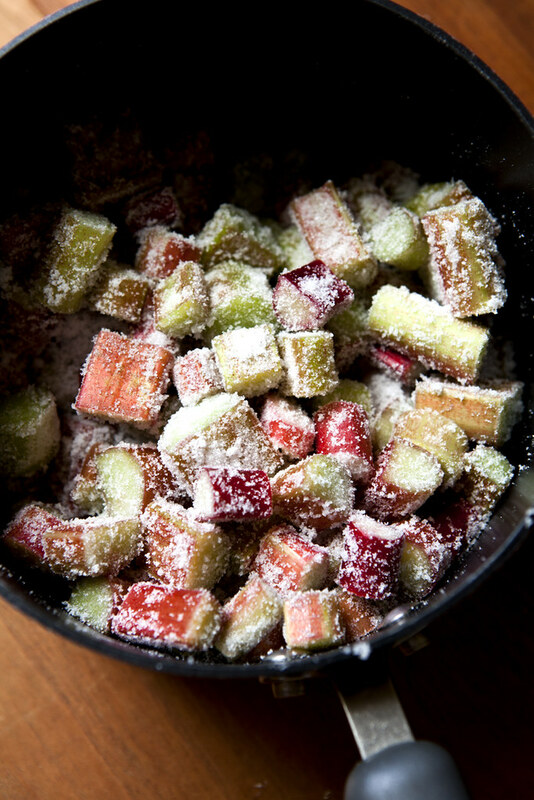 Reduce heat and simmer until rhubarb begins to break down, about 5-10 minutes. Remove from heat. 3. 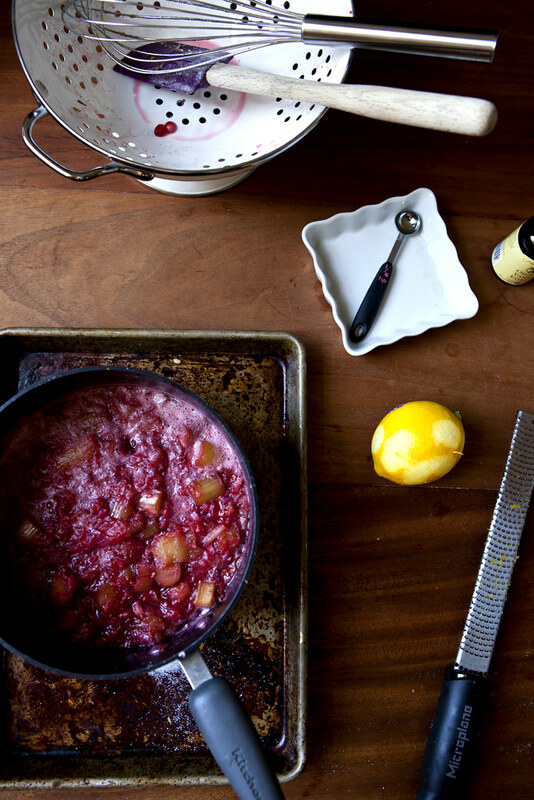 Use a hand mixer to puree compote until smooth. Let cool for 20 minutes before adding to oat bars. This recipe makes approximately 4 cups, so you will have plenty left over!